Dazzle as you dance in this winning Adrianna Papell blouson gown. 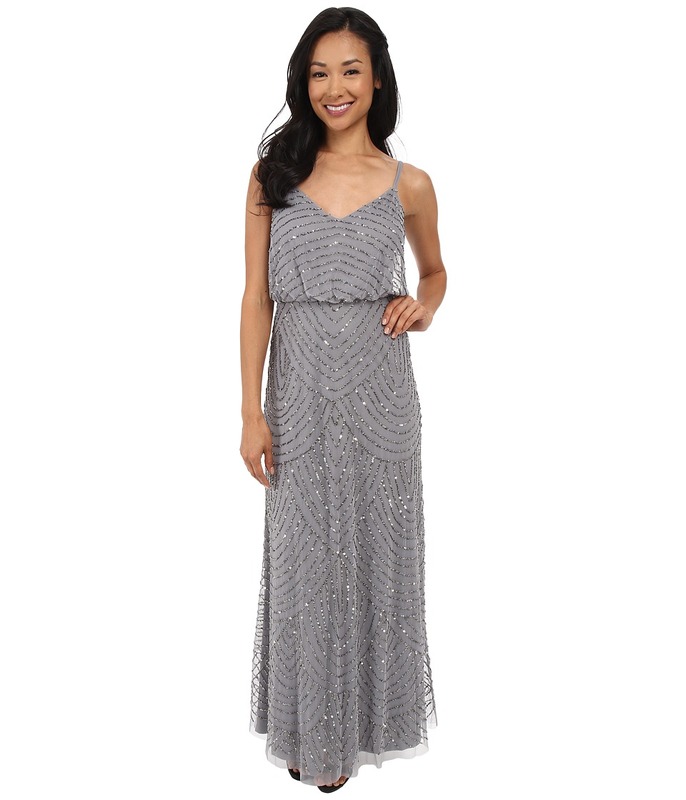 Sparkling beads decorate the chiffon evening gown with a teardrop pattern. Sleeveless dress features a popover elastic waist. Sweetheart neckline and spaghetti straps. Hidden zip closure in back. Straight hem. Fully lined. 100 percent polyester Lining: 100 percent polyester. Dry clean only. Imported. Measurements: Length: 62 in Product measurements were taken using size 4. Please note that measurements may vary by size.